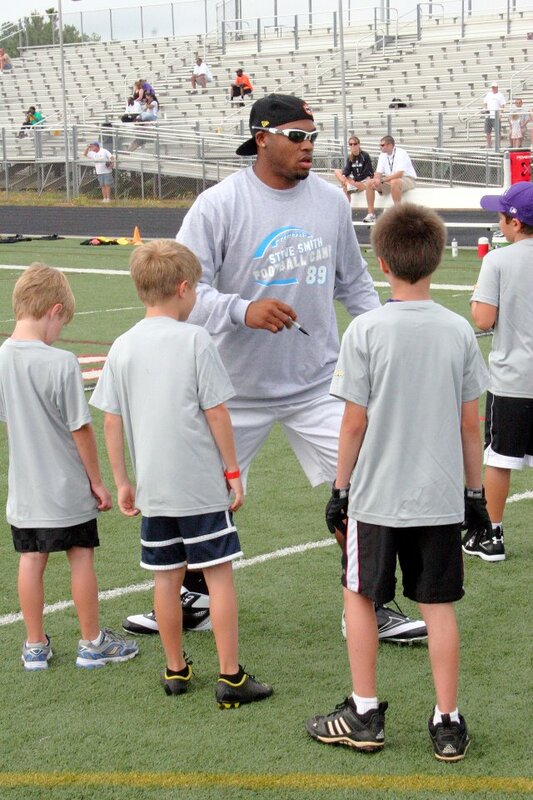 The annual Steve Smith Football ProCamp is taking place June 10-11, 2013, and Showmars is giving away four spots to the camp with the Carolina Panther great. The camp is for children in grades first through eighth, and parents can enter to win a free registration for their child by filling out an entry form at any of the 28 Charlotte-area Showmars locations. Winners will be contacted on May 24. The Steve Smith Football ProCamp, which takes place at Ardrey Kell High School and costs $149 to attend, is sold out. So this contest is one of the only ways you can get your kid in at this point. The features of the camp, according to the website, include: learning from and interacting with the 12-year Panthers veteran, a limited edition Steve Smith Football ProCamp T-shirt, autographed camp team photo with Steve, opportunity to participate in contests and win prizes, fun and educational experience stations and fundamentals, and more. In past years, Steve's teammates, like Cam Newton and DeAngelo Williams, have joined him at the camp, to the delight of the youth.